The distance (as the crow flies) between the northernmost and southernmost points: 1,650 km.  The East-West distance: maximum: 600 km (in the North), 400 km (in the South) ; minimum: 50 km (in Quang Binh province, the Central Part). 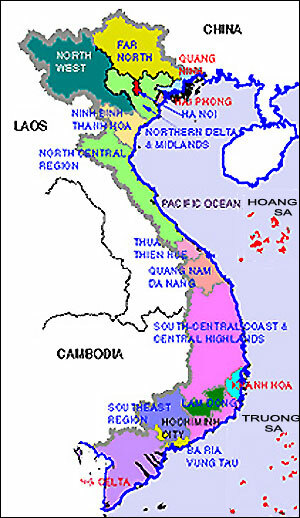 57 provinces and 4 central cities (Hanoi, Hochiminh City, HaiPhong, Danang). Mountain and hill: Mountains and highlands occupy three fourth of the country’s area. The mountain systems stretch from the Northwest border to the east of the South Vietnam, with the total length of 1,400 kilometres. The highest peak: Phanxipan 3,143 metres. Plains: the Red River delta: 15,000 km2. Major rivers: the total length of all rivers is 41,000 km with water flow approximately 300 billion cubic metres and 3,100 km of channels. * The Red River is 1,149 km long, of which 510 km runs on Vietnamese territory. * The Mekong River is 4,220 km long, of which 220 km runs on Vietnamese territory. Railway: 3,219 km (1995), includes 5 routes. Airway: The Vietnam Airlines has 17 international routes and 16 domestic ones.